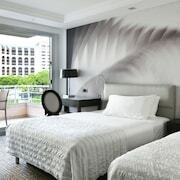 The service was excellent, Ambiance, location near casinos, luxurious room, bathrobe & slippers. Food ordered through room service was very good. Where to find Monaco hotels near an airport? 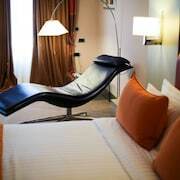 How can I find hotels in different Monaco neighborhoods? Where can I find hotels in Monaco that are near tourist attractions? When you're ready to plan your Provence - Alpes - Cote d'Azur escape, you can relax because you're guaranteed to find an extensive selection of first-rate room options in Monaco. Approximately 72 accommodation options can be found within a 0.1-kilometre (0.06-mile) radius from Monaco's city center. The Hôtel de Paris Monte-Carlo and Hôtel Hermitage Monte-Carlo are the most centrally located accommodation options in Monaco. One of the more common hotel neighborhoods, Menton, is 8 kilometres (5 miles) from the heart of Monaco. Menton offers 27 hotels that can be booked through Expedia. In Menton, the Hotel Napoleon and Hôtel Vacances Bleues Royal Westminster are some popular options. An alternative popular place to stay is Roquebrune-Cap-Martin , situated 4 kilometres (3 miles) from downtown. Roquebrune-Cap-Martin's better known accommodation options include the Monte-Carlo Beach and Vista Palace Hotel. Alternative accommodation neighborhoods include Eze and Saint-Jean-Cap-Ferrat. 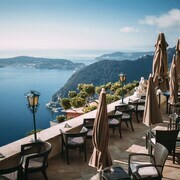 The Chateau De La Chevre D Or and Chateau Eza are in Eze, while Saint-Jean-Cap-Ferrat is where you'll find the Hotel Royal Riviera and Hôtel Vacances Bleues Delcloy. Cap d'Ail is 2 kilometres (2 miles) from Monaco's downtown, while Beausoleil is 1 kilometre (1 mile) from the center of Monaco. 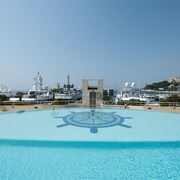 The Riviera Marriott La Porte de Monaco and Résidence Le Quai des Princes are situated in Cap d'Ail, while Aparthotel Adagio Monaco Palais Josephine and Résidence Les Jardins d'Elisa are located in Beausoleil. If you choose to book a hotel that is located nearby the Villa Ephrussi, the Grand-Hôtel du Cap-Ferrat, A Four Seasons Hotel and the Welcome Hôtel may be good options. The Grand-Hôtel du Cap-Ferrat, A Four Seasons Hotel is 2 kilometres (1 mile) away from the Villa Ephrussi. The Welcome Hôtel is 2 kilometres (1 mile) away. Families, students and those watching their budget can select from some nice Monaco lodging options that definitely won't blow holes in the wallet. 8 kilometres (5 miles) away from Monaco's center is the Hôtel Vacances Bleues Delcloy. The Villa Azur is just 2 kilometres (1 mile) away. 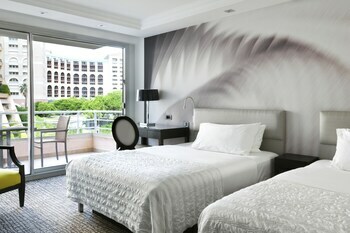 Other budget-concious options in Monaco are the Aparthotel Adagio Monaco Palais Josephine and the Hotel Napoleon. 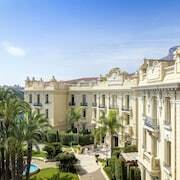 Check out the Hotel Metropole, Monte Carlo and also the Fairmont Monte Carlo. The Hotel Metropole, Monte Carlo is positioned 0.6 kilometres (0.4 miles) away from downtown Monaco. 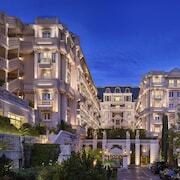 The Fairmont Monte Carlo, is located 0.8 kilometres (0.5 miles) away. You could also choose to investigate the Monte Carlo Bay Hotel & Resort or the Le Meridien Beach Plaza. Once you have seen the sights in Monaco, ensure you allow time investigate Provence - Alpes - Cote d'Azur's other cultural and scenic delights. Check out Provence - Alpes - Cote d'Azur's ruins, traditional villages and old towns. Outdoorsy types should also make the time to admire its rural landscapes, beaches, mountains and gorges. Visitors in this part of France can enjoy picnicking. 80 kilometres (49 miles) to the southwest of Monaco you will find Sainte-Maxime, where you can spend the day enjoying Nartelle Beach and Sainte-Maxime Golf Club. If you'd like to spend a few nights in Sainte-Maxime, check out the room rates at the La Résidence de la Pinède and La Bastide de Saint Tropez. Or, you could stay in Saint-Tropez, 80 kilometres (51 miles) to the southwest of Monaco, where you can choose from the Château de la Messardière and Althoff Hotel Villa Belrose. The Saint Tropez Citadel and Pampelonne Beach are just some of the more popular places to see should you visit Saint-Tropez. Cote d'Azur Airport is a nearby airport for flying into Monaco. It is 18 kilometres (11 miles) drive away. If you would like to stay nearby, try the Hotel Le Negresco or Radisson Blu Hotel, Nice. What are the most popular Monaco hotels? 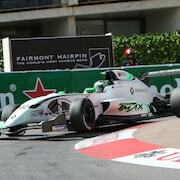 Are there hotels in other cities near Monaco? What other types of accommodations are available in Monaco? Explore Monaco with Expedia.ca’s Travel Guides to find the best flights, cars, holiday packages and more!